A typical sight in the Tudor country garden, the delicate fragrance of Lily of the Valley has heralded the coming of summer for the past five centuries. On the 1st of May, it was a French tradition to offer lily of the valley to people you love to wish them happiness. It is said that whoever finds a flower with 13 bells will be particularly lucky. 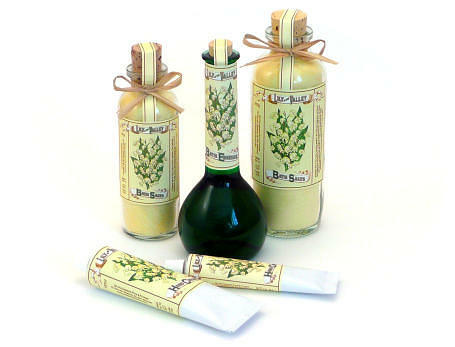 Click on the links below to find out more about our lily of the valley scented products.